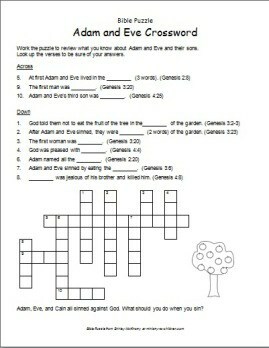 This crossword contains key words from the stories of Adam and Eve and their sons. You will need one copy of the first page for each student. The second page is an answer key for the teacher.